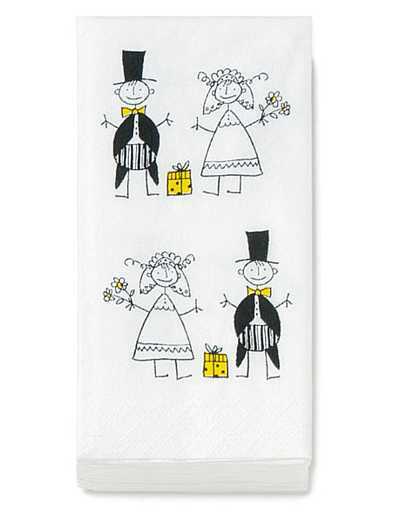 These wedding hankies are so cute! Each packet contains 10, 4-ply wedding hankies. Place these in a basket at the entrance of the church for each guest to take, just in case they want to tear at the ceremony. These also make great bridal shower gifts. You can pesonalized these by adding personalized labels to each packet. This item is one of our hot items! It is an import, so, if it is out of stock, it will take several weeks to restock.